Piezo mechanisms can provide very fast and precise motion. PI and PI Ceramic are the leading manufacturers of mechatronic systems such as piezo actuators and pzt transducers for motion control, nano positioning and micropositioning applications in industries such as: Semiconductors; Biotechnology and Medicine; Lasers, Optics, Microscopy; Aerospace Engineering;Precision Machining; Astronomy and Microsystems Technology. 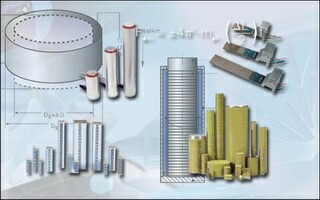 PI also provides value added manufacturing and custom assembly of piezo components and piezo systems for OEMs. 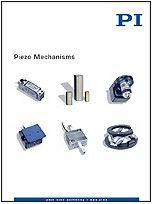 Not all piezo actuators and motors are created equal. There are a large variety of different designs optimized for different applications, from extremely high force or microsecond response, to long travel ranges in the millimeter and centimeter range. Piezo is derived from the Greek word piezein (to squeeze). It is quite often misspelled peizo. Piezoelectric actuators offer a solution to positioning tasks that require the highest accuracy, speed and resolution. Examples given in this tutorial indicate a selection of the many applications common today. The relentless push for more accuracy and speed-whether in biotechnology / nanotechnology, the miniaturization of microelectronics, fiber optics or data storage devices-drives both the application and the further development of piezo technology.